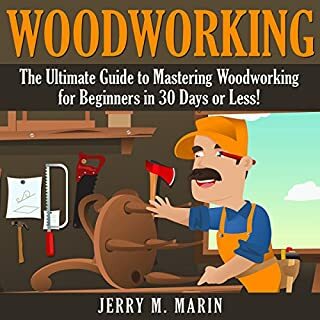 Woodworking: The Ultimate Guide to Mastering Woodworking for Beginners in 30 Days or Less! Learn everything you need to know about the basics of woodworking and how it can help you create great wood works. Start by learning how to do easy and simple designs. This book is for people who have always wanted to try out making their very own simple furniture and handmade wooden items but never knew where to start. Want to try out your luck with woodworking? Then this audiobook is for you. 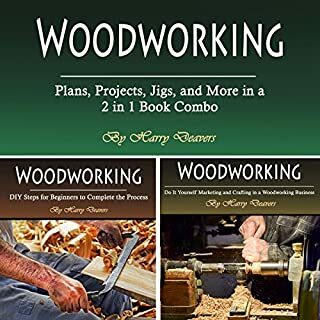 This audiobook includes a detailed description of the tools you need, the woods available, as well as how to plan and construct your project. For thousands of years, wood has been one of the most used materials in building many items, from furniture, to vehicles, to buildings. Even with the emergence of new materials like metal and plastics, wood has been the "go to" material for construction given its availability and ease of use. There are so many advantages to learning this art form. If you know little to nothing about woodworking, there’s no need to worry. 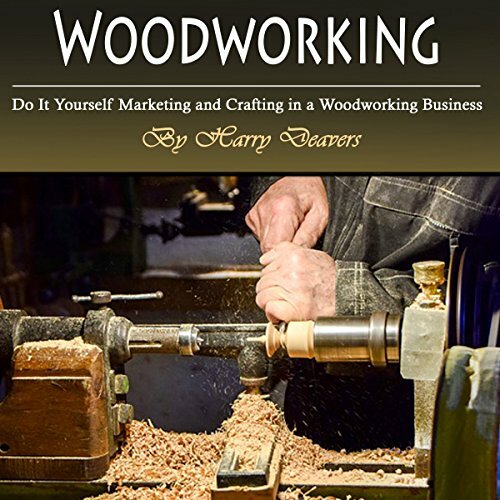 This audiobook explains everything that you need to know about woodworking, without making you feel as if you’re constantly a step behind. 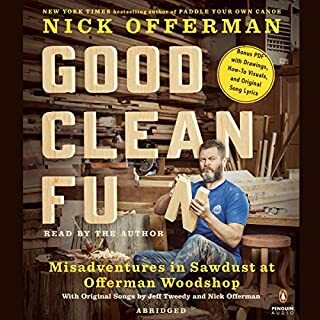 After listening to this audiobook, you’ll be able to confidently begin mastering the art of woodworking, one block of wood at a time. What to do with woodworking jigs, how they work, and what the benefits are of doing them right. How to market your woodworking creations online and offline to make a living or some money on the side. Essential knowledge about wooden floors, finding contractors, and negotiations. How to make a workbench, what to use and what to look for. Tips to ensure safety and learn faster so you can become a pro with an advantage over competitors. And much more! Curious yet? Then do yourself a favor and get this book fast! Great for beginner but furniture plan is so-so to ok. If you looking for furniture plan then this book is not for you. 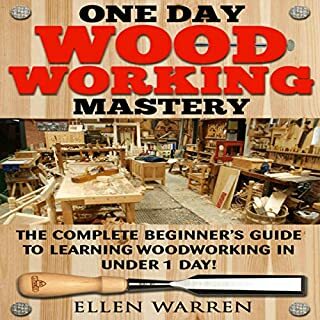 If beginner woodworking... then this book is for you. A great book even for those who believe they know it all. You will be able to pick up some techniques that can truly save you time and fingers. 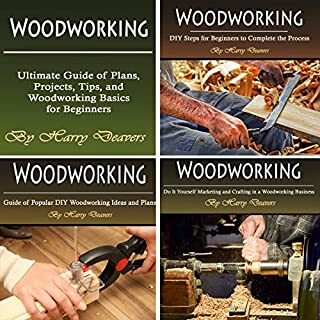 This book has many great workshop set up ideas and also goes over safety in depth which is very important in any woodworking project. The book truly has a little bit of everything that every woodworker needs. A very easy to follow narration takes you through proper techniques and so much more. The narration is excellent too. This book is without a doubt the single most informative book on woodworking. It is consise and to the point no matter what tool or procedure one uses. It doesn't go into great detail but what information it does give is more than enough to make one much more than a beginning woodworker. 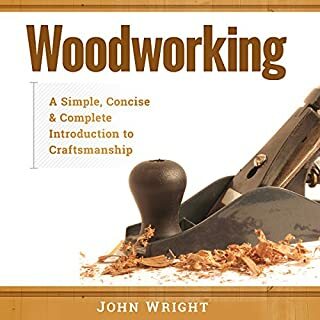 I have a ton of woodworking books but this one book I one I use more often any due to its simplification but still informative enough to fully explain almost any task associated with woodworking. Very interesting to follow these thoughts as I develop my own small business furniture making in paralell to the author. Shared mind and good new ideas. Great book on developing a product to sell. Great book on developing a product to sell. Not just limited to woodworking great advice for anyone trying to develop a handmade product to sell. A lot of simple and solid advice in this book.I enjoyed listening to this and surely learned a lot of great information. I have had a few home businesses over the years that have made me money. I wish I would have had this book when I started my first business. It would have saved me a ton of hard knocks. Thank you. While, I have numerous major power tools, I have gotten so much insight about these tools as well as inspiration to build my own. I think this is well worth the money! If you have an interest in making your own tools, this book is a must have. The router table alone makes it worth it. It gets a ton of use in my shop. It is well narrated and easy to understand!